Motorola RAZR Key Specifications Leaked - Playfuldroid! Motorola is expected to unleash its first foldable phone. Recent reports have revealed that it will be revived version of the Motorola RAZR clamshell phone from the yesteryear. Fresh information reveals that the Motorola RAZR 2019 will not be a flagship device, but an upper mid-range phone. According to XDA Developers, the Motorola RAZR 2019 foldable phone will be arriving in variants such as 4 GB RAM + 64 GB storage and 6 GB RAM + 128 GB storage. Both models are rumored to be driven by the Snapdragon 710 chipset. The device will include a 2,730mAh battery that may probably carry support for 27W TurboCharging technology by Motorola. There is no information on the front-facing and inner camera of the device. There will be an outer display on the device that will carry support for a resolution of 600 x 800 pixels. The device will come equipped with a foldable OLED display on the inside. The inner screen could of 6.2 inches, and it offer a resolution of 876 x 2142 pixels. The other details of the foldable phone are currently under the wraps. Previous reports have revealed that the Motorola RAZR 2019 will be carrying a price tag of $1500 in the U.S. Also, it could be exclusively available for purchase through Verizon Wireless in the country. 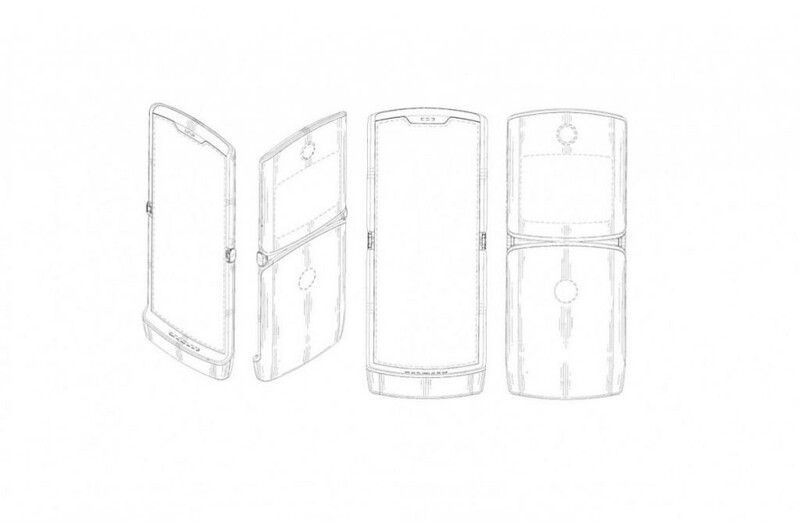 The publication has added that the phone will be sporting the same design that was revealed through the illustrations present in the patent filing of the design.